Since osquery is published to a yum repository we can use Toolbox, which by default uses the stock Fedora Docker container, to install the RPM package. Then it’s possible to copy binaries and other artifacts into our host. Note: In the below snippets, the $ refers to input in the CoreOS host, and the # refers to input in the Toolbox container. That’s it! At this point you can jump into osqueryi, the osquery interactive query console/shell. ExecStartPre=/bin/sh -c "if [ ! -f $FLAG_FILE ]; then touch $FLAG_FILE; fi"
ExecStartPre=/bin/sh -c "if [ -f $LOCAL_PIDFILE ]; then mv $LOCAL_PIDFILE $PIDFILE; fi"
Created symlink /etc/systemd/system/multi-user.target.wants/osqueryd.service → /etc/systemd/system/osqueryd.service. 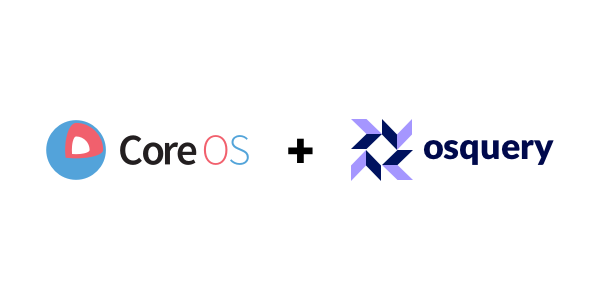 What are your thoughts on tools like osquery running on CoreOS Container Linux?